You are looking to become a parent. Based in Nottingham and founded in 1995, the Acupuncture Fertility Centre (conceivably the best) offers complementary healthcare tailored just for you. We are located close to CARE and Nurture. We are based in Bramcote, Nottingham (and close to Sandiacre, Wollaton, Toton, Stapleford and Beeston). The Acupuncture Pain Centre specialises in providing you with complementary healthcare to help diagnosed painful conditions, whether internal or external and whether recent or long term. 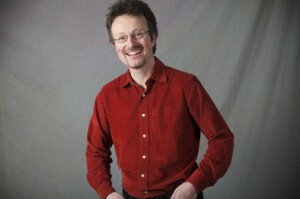 All work is carried out to the highest standards by Martin Dean who is a member of the British Acupuncture Council. Martin has over 23 years of practitioner experience and was a lecturer in acupuncture for the University of Lincoln for ten years. Although he is experienced in treating a wide range of conditions, he takes a special interest in male and female fertility issues. He also practices comfortable needling technique, and is a keen advocate of Tai Chi for maintaining health. I’m truly enjoying the degisn and layout of your site. It’s a very easy on the eyes which makes it much more enjoyable for me to come here and visit more often. Did you hire out a developer to create your theme? Fantastic work! Thankyou for your kind comments – I took a lot of care in developing the visual themes. Yes we do use a web designer. I am happy to give credit to Graham McLusky web design based in Lincoln, UK. More than one-third of Americans (https://www.vox.com/science-and-health/2017/3/15/14903130/more-americans-pain-opioids-disturbing-medical-mystery) now say they experience chronic pain, making it a definite public health issue. Chronic pain can have far-reaching consequences, causing a decline in other areas of one’s physical health and overall lifestyle. It’s no surprise, then, that those who experience chronic pain often also have mental health problems, such as depression. I think it’s important that we do everything we can to offer support and care to people with chronic pain. One way I’d like to do so is by writing an article for your website. Are you interested? The article will provide tips and resources for helping those with chronic pain maintain fulfilling lifestyles and will direct them where to go for help and support. Thankyou Kimberly. An article from you would be a most welcome addition.